Kigali Marriott Hotel offered a me free stay in exchange for this review. The Marriott Hotel came to Kigali back in 2016, finally opening its doors after many years of construction. The hotel slowly grew from the time I arrived in 2010 and to say its opening day was anticipated would be a huge understatement. The long-awaited hotel opening was one of the biggest events in the city and they splurged on an extremely epic opening day party that I was lucky to be invited to. Bottomless sparking wine, towers of multi-coloured macarons, food for days, and even a freaking chocolate fountain, people! It was a glorious event and totally fitting for the city’s biggest and best hotel. Since opening, the Kigali Marriott has become a hub of activity. It’s popular both with business and high-end travellers but it’s also become a destination for residents of the city who enjoy their pool, come for a meal at one of their restaurants, park at the bar to use their great wifi, or relax for a night as part of a staycation. The Kigali Marriott is absolutely huge! It covers an entire block on the highest part of the Kiyovu hill but they’ve found a way to fill the spaces nicely so that it doesn’t feel like a gigantic, soulless hotel. It has a beautiful view in both directions and the grounds of the hotel are well designed with a bunch of different outdoor spaces and lots of nice areas inside, as well. Iriba Bar is one of my favourite daytime hangout spots in Kigali. They have the quickest and most reliable wifi in town, air conditioning for the rare days in Kigali where the weather is too hot, and a beautiful outdoor seating area for the rest of the year when the weather is perfect. It’s always alive with people and for a hotel bar, it’s a cut above. Plus it doesn’t hurt that the food is tasty, more affordable than you might expect, and they serve big mugs of draft Mutzig for a reasonable Rwf 3,000. 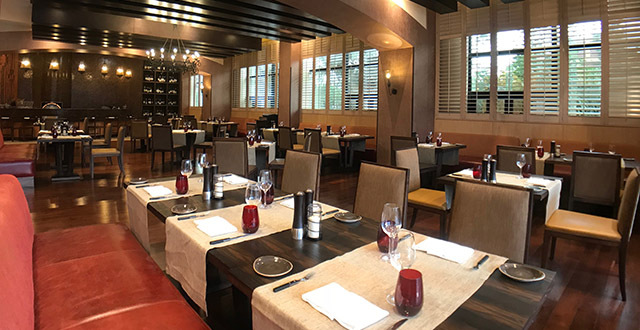 Cucina is a more recent addition to the Kigali Marriott’s restaurant scene, opening late last year. It’s an Italian restaurant with a real, live Italian head chef and they’ve got some very nice things on their menu. I particularly enjoyed the Caprese salad, the lamb dish, and I was impressed with their tiramisu, though I wasn’t entirely sure what to do with the little cup of espresso (you’ll see what I mean if you ever order it). They also make a damned fine mojito. You’ll pay more for a meal here than Sol e Luna, another of Kigali’s main Italian restaurants, but it’s a slightly more polished experience and it’s a great choice for a nice meal out. Soko is the name of the restaurant downstairs that focuses on a breakfast buffet, weekend brunch, and a lunch buffet. It’s set under the beautiful huge window and the space is really very beautiful, especially in the morning as the sun seeps in. The Marriott breakfast is usually included with your stay and it’s insanely good. Wander around for a few minutes before you commit to anything as there are a variety of things on offer – from an Asian breakfast incorporating noodles and sushi to an African option to pastries to an omelette bar to fruit to… you get the idea. You can serve yourself at the coffee and tea stands, or order something more complex like a cappuccino or espresso. If you’re not staying at the hotel but want to treat yourself, breakfast costs Rwf 15,000 and runs between 6am and 11am. If you’re more of a lunch buffet kind of person it costs Rwf 20,000 for an amazing spread of food from between 12:30pm and 3pm. 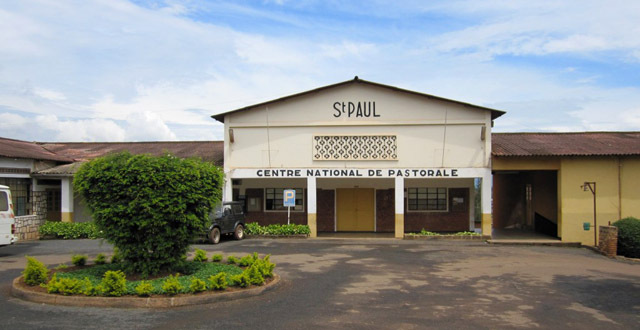 Or take them up on their Rwandan residents deal and splash out on a night for two at the hotel including breakfast for $150 (on Friday and Saturday nights only, reservation required). At $75 per person including this glorious breakfast, that’s a pretty amazing deal for a couple or even two friends who don’t mind snuggling up on a giant double bed for the night. If you want to turn that into an even better deal, pay a bit more for their weekend brunch which includes access to their gorgeous swimming pool. For Rwf 25,000 you get pool access and the lunch buffet with soft drinks and water included. For Rwf 35,000 you get wine, beer, and soft drinks, and if you’re feeling fancy you can pay Rwf 45,000 to add sparkling wine into the mix. It’s all you can eat and drink between 11:30am and 4pm but take note that nothing can be consumed beside the pool, you have to head up to the seating. This has grown into a very popular weekend event so make sure to get there early on sunny days to stake your claim to some lounge chairs as it fills up fast. Ok so the food is good and the pool is amazing… what about the rooms, you ask? Well! The rooms are great too, of course! They have everything you could hope for except, weirdly, no furniture on the balcony. The balcony in my room seemed to be crying out for furniture. There was plenty of space for a nice patio set to be able to enjoy room service food while taking in the great view but, alas, there was nothing out there. A standing balcony only, I guess. But other than that odd omission, the room was perfect. Super comfortable bed, a coffee and tea area with a kettle, a big TV with a decent selection of channels (and a USB port at the side to watch your own movies and TV shows), a great shower with amazing pressure and hot water, and a bathtub! The tub was an especially welcome feature. Now it’s time for a fun little fact about me – I’m one of those strange people who don’t like massages. My lifetime experience with massages have been once in Thailand where I was borderline naked at a massage place right on the edge of a busy footpath, another time in China when the massage ended with a wet willy (that’s when someone licks their finger and sticks it in your ear… usually as a joke. In this case, I don’t know what the hell was going on), and a few other attempts where the masseuse worked so hard at getting out the knots out of my back and shoulders that I was in pain for the next week. So ya, massages… I don’t love them. But I figured the Kigali Marriott would be a good place to give massages another chance. I’m glad I did! Nathalie was my masseuse and she told me she was trained in Rwanda which was nice to see since it seems like most spa people I’ve come across in the hotels are from Kenya or Uganda. I opted for a 30 minute Swedish massage, not really knowing exactly what I was getting in to. I asked her to concentrate on my back, neck, and shoulders and she really worked out the knots, but without killing me. The massage was a perfect combination of relaxing and knot-removing and but the end I felt super chilled and my back and shoulders felt great. Perhaps I can be convinced that massages are not the worst things ever. This was a great start in that direction. The team at the Kigali Marriott are really working hard at being a main attraction in the city. 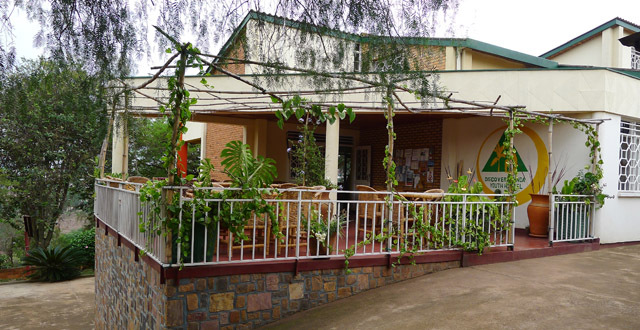 The hotel is immaculate, it’s a wonderful experience for guests, and they’ve also really put in a big effort to attract people who live in Kigali with their regular events, accommodation and food deals, and just by being a really wonderful place to hang out. During my two day stay I don’t think I even left the hotel… it’s just such a great space and I was enjoying my little piece of luxury. If you haven’t stopped by the hotel yet, pop in for a look. I’d recommend a drink at Iriba Bar at the very least, a meal at Cucina, or go all out and book yourself a staycation to really get a feel for the place. In case you can’t tell, I’m a fan. I think the Kigali Marriott Hotel has really upped the city’s tourism game and it has a lot to offer, even if you’re not a business or high-end traveller. Check it out!